> Painful Joints? 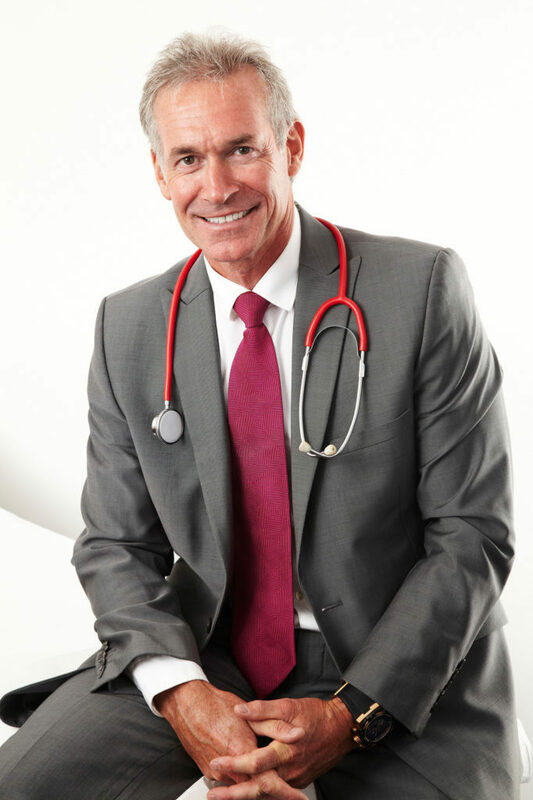 Dr Hilary Jones Can Help! Painful Joints? Dr Hilary Jones Can Help! People with arthritis often say their joints start to play up if there is a storm in the air or rain is forecast. They complain their knees are creakier, their finger joints stiffer, and that their hips just don’t seem to have the same mobility as they do in warmer weather. A more recent study, published in the medical journal Pain, also looked at potential links between the weather and chronic joint pain in people with arthritis in four different far-flung urban areas with very different ambient climates. Dr Jones explains: “the findings showed that the city with the greatest sensitivity to weather changes among its rheumatic population was San Diego, a city renowned for its consistently warm, dry weather conditions all year round.” The two studies are entirely contradictory. So, what can you do to soothe pain and discomfort? 1# Eat more water. Dehydration is a common cause of joint pain and surprisingly in winter people can still become dehydrated. 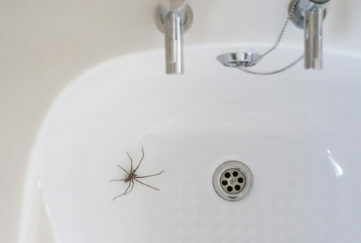 Healthspan’s Head of Nutrition, Rob Hobson says: “Recommending a water requirement is misleading as it is fluid and not just water per se that is important. How much a person needs is dependent on the individual and their lifestyle or environment – someone in a hot climate and/or who exercises a lot needs more.” The standard advice is to drink around 6-8 glasses of water a day but as Rob points out “this can come from many different types of fluids and not just water” including juices, teas, coffees and other soft drinks but also food. He points to ones with obviously high water content like watermelon (92%) and cucumber (97%) but also ones you wouldn’t necessarily think about like yogurt (85%) and white steamed fish (77%). 2# Turmeric. The spice of the moment, turmeric is currently being added to a range of foods, drinks and supplements. And for good reason. “The active ingredient in turmeric is curcumin – a powerful anti-inflammatory antioxidant which helps damp down pain and swelling in inflamed joints,” says Medical Nutritionist Dr Sarah Brewer. If you don’t get enough of this spice in your diet (it is what gives Indian food its distinctive yellow colouring) you may benefit from a supplement. As Rob Hobson says, “Most of the studies on turmeric have been carried out using very strong extracts and you’d have to eat an awful lot of curries to get that much curcumin! The other problem is curcumin isn’t naturally water-soluble, so the body struggles to absorb it. To truly gain the benefits you need to take a supplement.” Healthspan’s Flexi6 Gold Turmeric, £21.99, is a premium combination of glucosamine and turmeric extract with boswellia, vitamin D3 and C for extra support. 3# St Paul’s Wort. The plant Sigesbeckia orientalis (also known as common St Paul’s Wort) has been used for thousands of years to treat different types of arthritis and other aches and pains like backache, rheumatic or muscular pains or general aches and pains in the muscles and joints. 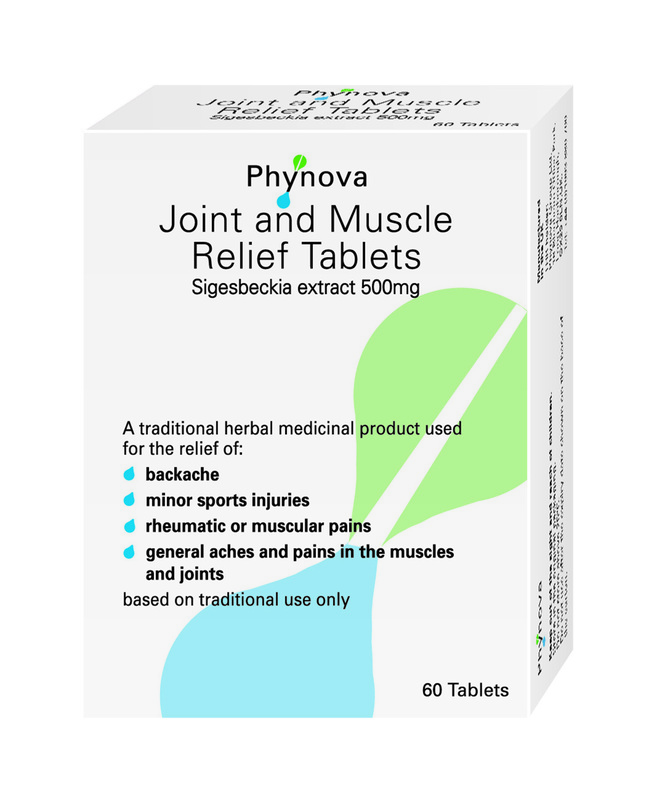 You can now find this traditional herbal medicinal product in Phynova Joint and Muscle Relief Tablets which have been shown to have a significant anti-inflammatory effect on joint pain and can be safely taken with standard non-steroidal anti-inflammatory drugs (NSAIDs) like ibuprofen. “Clinical research has shown Sigesbeckia orientalis has analgesic, anti-inflammatory, antioxidant and cartilage protective effects and is shown to be effective in reducing joint swelling, inflammation and pain in arthritis patients,” says Clinical researcher for Phynova, Andrew Gallagher. Available from Boots, Holland & Barrett or direct from wwww.phynovajointrelief.com, Phynova Joint and Muscle Relief Tablets cost £19.99 for a month’s supply. 4# CBD Oil. One of THE big health stories of 2018, CBD oil is increasingly being studied for its therapeutic and pain-relieving abilities. A 2012 review in the Journal of Experimental Medicine concluded Cannabidiol oil (a non-psychoactive part of the cannabis plant) is an effective treatment for adults suffering with chronic pain and, significantly, there are no reported side effects. A 2016 study published in the European Journal of Pain showed giving arthritic rats CBD oil significantly reduced the inflammation and pain associated with arthritis. More trials are needed but one theory is CBD contains a neurotransmitter called anandamide associated with regulating and suppressing pain. It may also reduce inflammation in the brain and nervous system which may help people process pain. “CBD hemp extracts are antioxidant and have anti-inflammatory effects on joints, to help improve pain and stiffness. They also have pain-relieving effects due to their interaction with certain parts of the brain,” says Dr Brewer. 5# Essential oils. We all know aromatherapy essential oils smell nice but a systematic review published in Pain Research & Treatment found ‘a significant positive effect of aromatherapy in reducing pain’ with the report concluding: “These results indicate that aromatherapy should be considered a safe addition to current pain management procedures.” Lavender oil seems particularly effective at helping in the pain reduction process. A randomised clinical trial of 90 patients with osteoarthritis found that massaging with lavender oil delivered effective pain relief. There is also mounting evidence to suggest massage helps with muscle flexibility and pain reduction. You can find the pain-relieving effects of essential oils including Lavender and Eucalyptus (shown to relieve muscle and joint pain) in a massaging roller in Puressentiel Muscles & Joints Roller, £14.99 (Amazon and independent pharmacies). 6# Oily fish and arnica. Muscle and joints advisor for A.Vogel Earle Logan says, “Some foods can increase inflammation and discomfort while others can actually reduce it and relieve pain.” He suggests a diet high in anti-inflammatory foods including oily fish like salmon, mackerel and herring; plenty of antioxidant rich vegetables; fruits like pineapple; dried fruit like figs; seeds including pumpkin, sunflower and sesame and fresh herbs and spices like turmeric and cumin to reduce it whilst cutting out or down on processed and fast food which can aggravate symptoms. 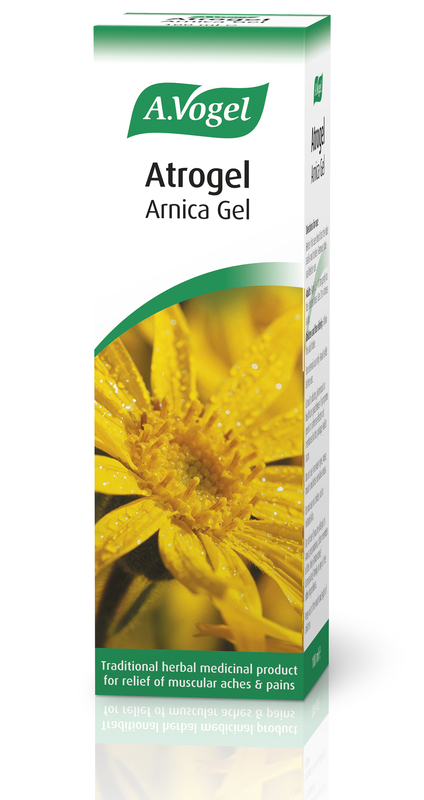 He also recommends rubbing Atrogel Arnica Gel, £7.25 (available from Boots or A.Vogel) into sore, stiff joints to help pain and discomfort. 7# Rosehip extract. Used therapeutically for thousands of years, science is now showing how these little scarlet fruits from the Rosa canina or dog Rose plant appear to have anti-inflammatory and pain-relieving actions that can help ease conditions like osteoarthritis and Rheumatoid arthritis. But it seems from the evidence we have that rosehip is safe to take with traditional painkillers and that rosehip’s therapeutic effects also kick in pretty quickly. A daily supplement appears to offer enough of an anti-inflammatory effect leading to notable improvements in joint health in a matter of weeks. A 2006 Danish study involving 94 adults with arthritis in their hips, knees or hands found that eight out of 10 of participants reported a ‘significant’ reduction in pain after taking a rosehip supplement daily for just three weeks. After 15 weeks of taking it, they reported not just less pain but also a reduction in joint stiffness which meant they were also less likely to reach for other painkillers. Find it in Healthspan Super Strength Rosehip, £14.95. Keep your joints moving as often as you can. 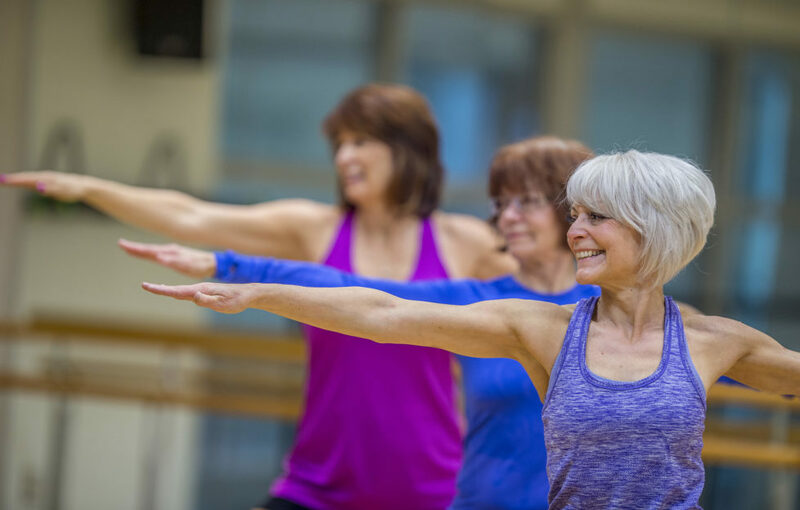 Exercise to keep muscles strong to protect joints from impact and strain. Eat a healthy diet with plenty of fruit and veg, lean red meat, oily fish, nuts and seeds. Prevent swelling with ice, rest, compression and elevation. Enjoy regular joint and muscle massages whenever you can. Keep joints warm and free from draughts. Stay positive and optimistic – happy hormones and humour help to make pain and discomfort easier to cope with. 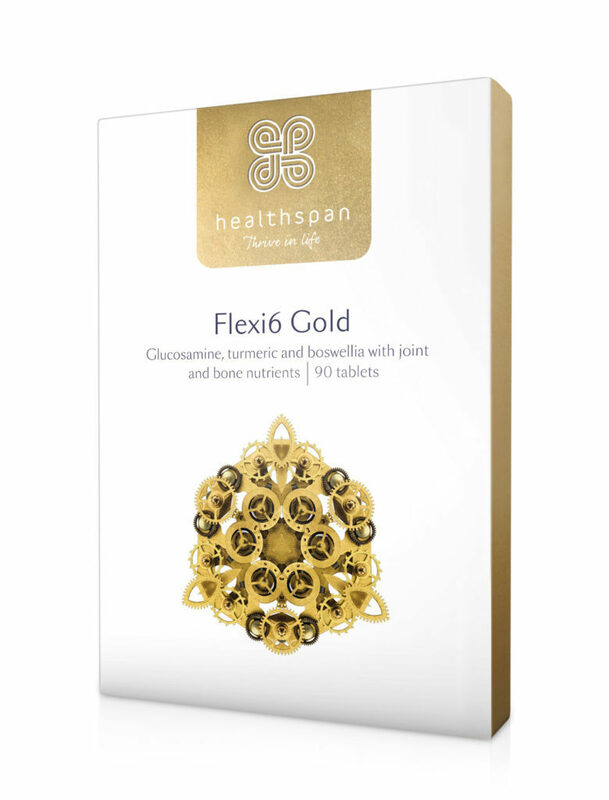 “Use a proven supplement containing glucosamine and chondroitin designed to maintain good sound joint health,” suggests Healthspan Head of Nutrition, Robert Hobson. Or try an up and coming supplement such as Celadrin or Eggshell Membrane to see if they work for you.